Specialist Fleet Services Ltd (SFS) was established in 1992 and we have built up a reputation as a competitive and flexible contract hire and fleet management company. 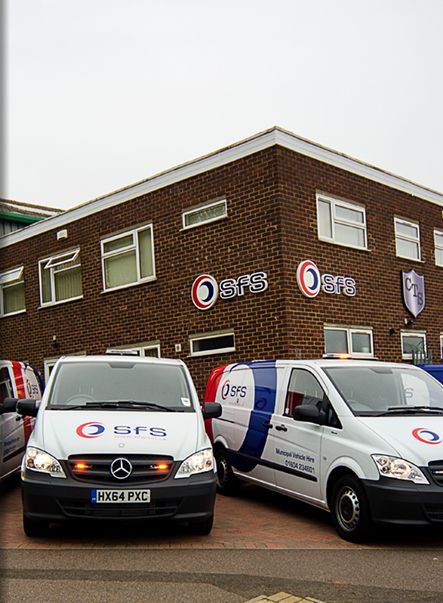 Paragon Bank, part of the Paragon Banking Group, acquired SFS in November 2015. Located in Northampton, with our own on-site workshop, we provide contract hire and vehicle leasing solutions to the private and public sector along with comprehensive fleet management and workshop expertise. As well as running workshops on behalf of local authorities such as Weymouth and Portland, Lichfield, Kettering, Epsom and Ewell, Hinckley and Bosworth, and Staffordshire Moorlands, we have a network of mobile engineers to support our customers’ fleets and keep them running smoothly. In October 2013 we completed our contact hire offering with the acquisition of one of the UK’s leading municipal spot hire companies, Collett Transport Services (CTS), and in August 2014, as part of our expansion plans, we established an asset finance business. Paragon Vehicle Finance focuses on the lease and hire purchase of commercial vehicles to the recovery, haulage, bus and coach, and self-drive hire sectors.